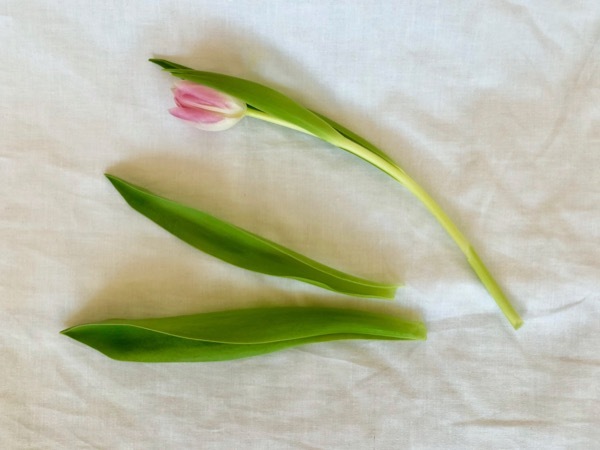 When tulips start to pop up in the grocery store it’s a sure sign that they will soon be blooming in our yards. With that optimism, I rush to fill my home with these spring beauties. I’m always looking for inspiration on how to arrange flowers. So, the other day when I was waiting in the checkout line with several sleeves of tulips in my cart, a magazine on Easter entertaining caught my eye. I impulse bought, shrugged off the outrageous price, and looked forward to perusing the pages with a big cup of coffee. So, I went into the other part of the basement that has all of my rarely used entertaining and cooking items. 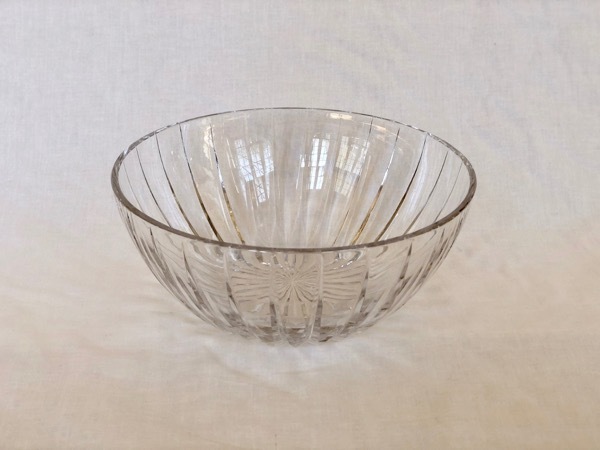 I opened a cupboard and behind my asparagus steamer was the most beautiful crystal bowl. Here is my arrangement. I actually think it is even more beautiful than the one I was hoping to copy. 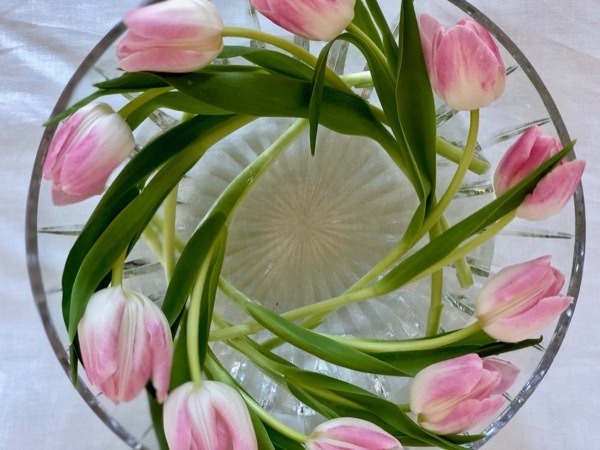 Start with a dozen tulips. 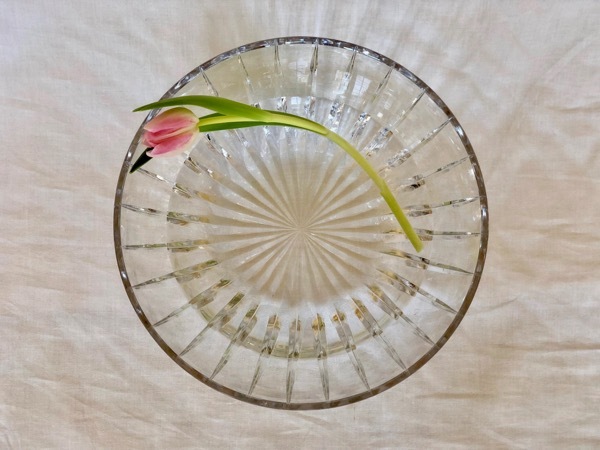 Fill a glass bowl with cold water. 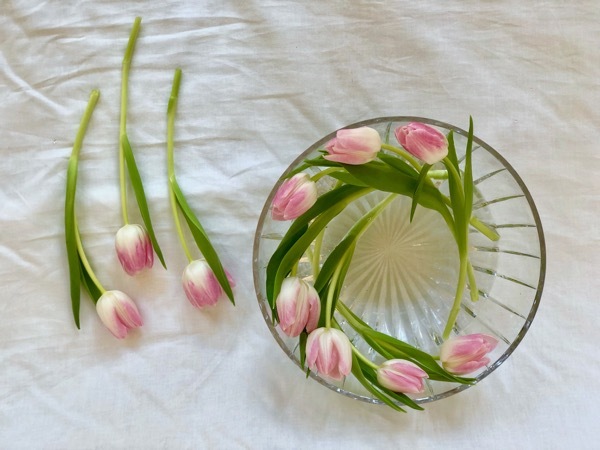 (Tulips like to be in cold water.) 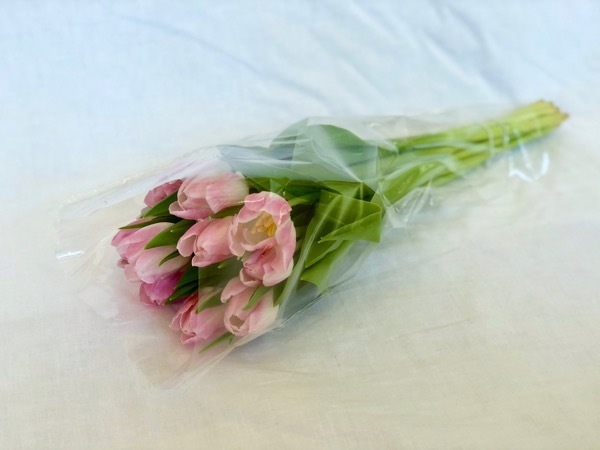 Add a little floral preservative to feed the flowers and keep bacteria at bay. 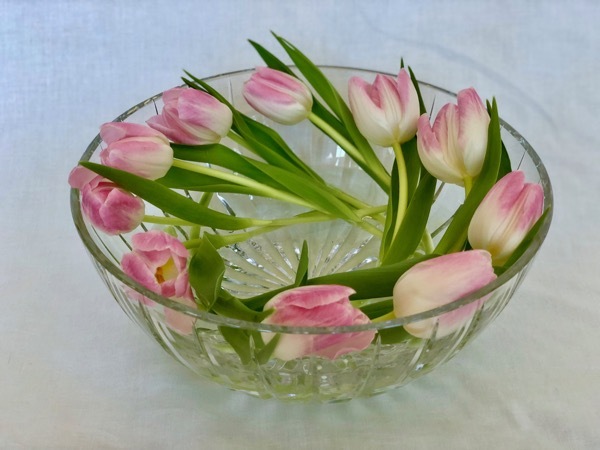 Trim one of the flowers ,a little at a time, so that the bloom just touches the top of the bowl when it’s wrapped along the edge. 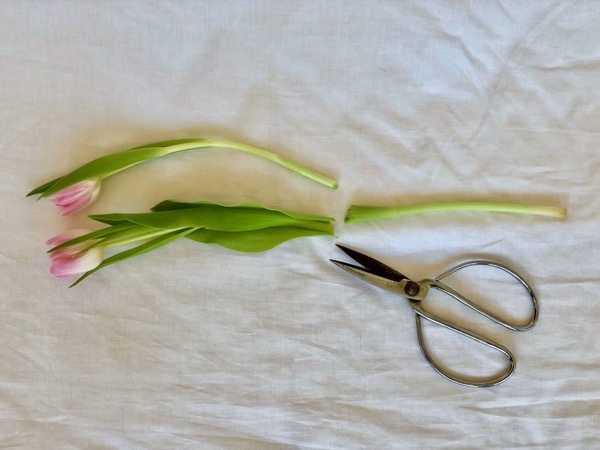 Use that flower as your guide flower when cutting the rest. 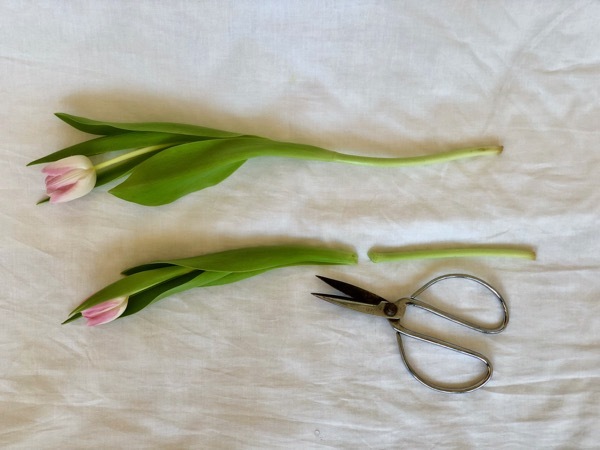 Make sure that your final cut is on the diagonal so that the stems can drink up as much water as possible. Begin winding the stems along the side of the bowl. 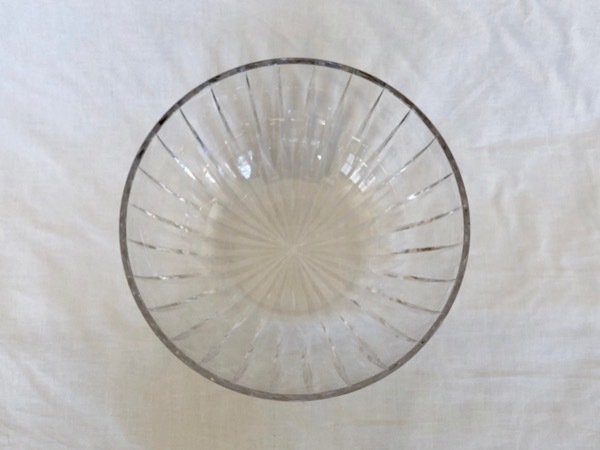 Remember to keep adding cool fresh water to the bowl each day. 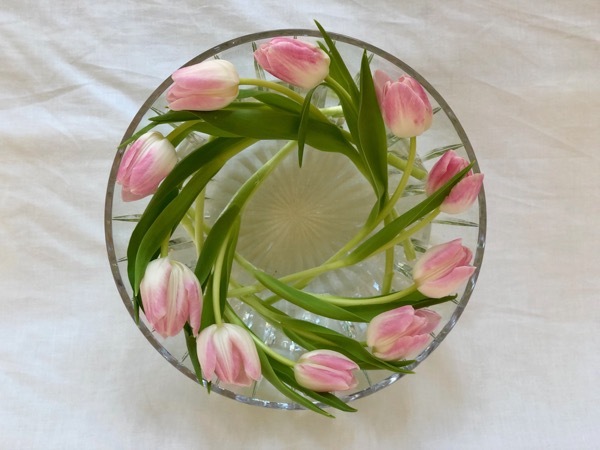 And you might need to rearrange and trim your tulips as the days pass, tulips continue to grow even after they are cut. 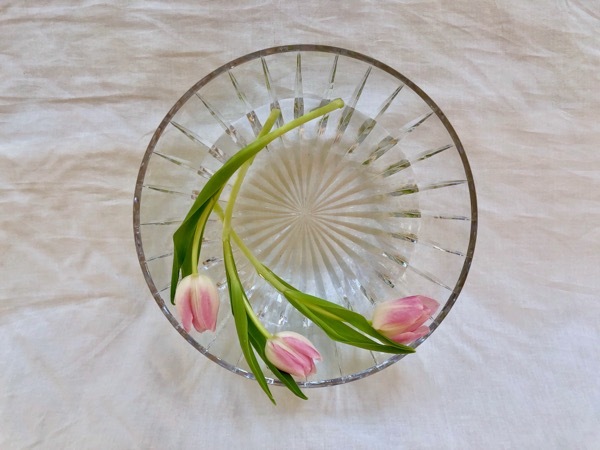 This arrangement is stunning in its simplicity, and surely cause for celebration.